Sermon preached on Hebrews 12:12-13 by Rev. 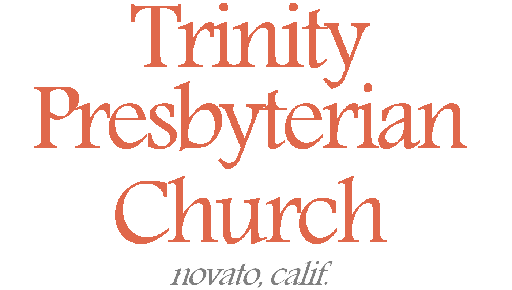 W. Reid Hankins during the Morning Worship Service at Trinity Presbyterian Church (OPC) on 1/20/2019 in Novato, CA. Today’s passage continues driving home the main theme of Hebrews. It continues to call them and us to persevere in the faith amidst opposition, persecution, and tribulation. This call is made in different ways throughout the passage we just read, but today I will be focusing specifically on verses 12-13. We’ll continue working through the passage next week. And in these two verses, we notice how this call to press on in faith comes to a people who are in certain ways weak and broken. Maybe you have had times where you have felt weak and broken spiritually. You might experience that in the future. Maybe you are experiencing that right now. And so, this passage calls for them and us to find strength and healing instead of falling into far worse circumstances. Let’s begin then in our first point by recognizing how Hebrews describes the state of the people that he is writing to. Verse 12. He describes them as people with drooping hands. He describes them as people with feeble knees. Verse 13. He speaks of them having lame body parts, subject to dislocation and further injury. This is clearly imagery that is being used figuratively of their spiritual estate. Keep in mind this is a letter, so this describes the people he originally was writing to, not necessarily anyone who reads this letter. And yet, it very well may describe you and your spiritual estate, if not in the whole then at least in part. Surely, we can relate at least some if not a lot to the original audience’s struggles, and in that find much application from this passage. Just look at the context to help understand what Hebrews has in mind when it describes them like this as so injured and weak. Look back at the first part of this chapter. In verses 3-4 we were reminded that the people then had been under intense religious persecution from non-Christians. I could see how constantly being beaten up, so to speak, by unbelievers, might leave us with drooping hands and feeble knees. Imagine a boxer who takes a big pummeling by his opponent; his hands might start to drop and his knees might start to shake. Well, then the chapter proceeded to talk about how God was acting as a father to them by training them in the faith through all life circumstances – even the difficult ones. That fatherly rearing includes chastening and correcting that at times can be painful and grievous. We saw how God as their father might even use suffering in general as a way to grow them. Today’s verses pick up on this and acknowledge that the people that Hebrews was writing to are in certain ways beaten and broken. They are weary from the various tribulations. Likely they are starting to get discouraged and tempted to give up on the race of their Christian faith. These are surely things we can relate to as well. We still experience religious persecution today. We still undergo various sufferings, too often as a result of our own sins or unwise choices, but sometimes just because life in this sin-cursed world is full of various miseries. Maybe you sometimes feel discouraged or weary in your Christian faith. Maybe you feel that way today? Well, last chapter we were encouraged that in the midst of all life’s troubles, God is still in control and he is parenting us for our good. And today’s verses give further encouragement to Christians who find themselves beaten and broken in this world in various ways. You might not have recognized that in typical Hebrews fashion the author continues to draw from Old Testament passages here. Verse 12 draws from Isaiah 35:3 where this language of weak hands and feeble knees is used. If you read that reference in Isaiah in context it is both fitting and encouraging. It describes a weak and hurting people who are called the “ransomed of the Lord”. That chapter in Isaiah describes how those broken people are being taken along a road in the wilderness. It’s a road that it says there that the unclean don’t get to go on. And Isaiah 35 says that the final destination of that highway is Zion. Do you see how that prophecy describes the Christian life of faith? We have a road to go, a journey to take, and it ends in Zion. But not the old earthly one. This road ends in the eternal Zion. Maybe if the Jews in Babylonian exile read that Isaiah chapter 35 prophecy they would hope to be able to one day return to the earthly Zion. In fact, the Jews did eventually get to return from Babylonian exile and come again to Mount Zion. Many have thought of this Isaiah prophecy as well when the Jews were able to return to the earthly Zion in 1948. But Hebrews here calls us to see this as looking beyond any earthly Zion. It is the destination of all who put their faith in Christ. It is the eternity of glory, that heavenly inheritance where we will dwell with God forever in the new heavens and the new earth. It is in that age and world to come! We, and Christians alone, walk this road in faith, a road that leads to glory. The background here referenced in Isaiah 35 should greatly encourage our hearts as we read verses 12-13. See Zion before you when you read verses 12-13. But we still have to walk the road. We still have to run the race. Christians who suffer in various ways; Christians with our various weaknesses; Christians with our struggles: God has appointed for us this way. The way is ultimately Jesus, faith in him. But we still have to walk down that road. We the ransomed of the Lord still have to go as pilgrims in the wilderness. But be encouraged because the road ends in the eternal Zion of glory! It’s this reality that brings me to our second point for today. I’d like to observe the specific exhortations that are given here in verse 12-13 concerning this journey of faith. First, in verse 12 we are exhorted to strengthen ourselves. The Greek word is literally about setting straight – it has the root of orthos in it, like where we get the word “orthodox”. Used for drooping hands, it says to straighten them up and put them up. Used for feeble knees, it likely carries the sense of bracing them up somehow. You might think of how an athlete might put on a knee brace on a bum knee or tape up a sprained ankle so they can keep competing. We could keep running with the analogy. If you fall down, get back up. If you need to, grab some crutches. Or take a boxing analogy. Imagine in between rounds, your go back to your corner after taking a bunch of blows. In boxing you have a cutman who helps patch up any minor injuries right away so you can get back out there and keep boxing. Your trainer then gives you advice and gives you a pep talk and sends you back out. I know the analogy is not perfect, but hopefully you get the point. The point is that we need to keep on walking on this road of faith. No matter how broken or weak we may start out, we need to keep on going and not give up! Now lest you get the wrong idea here that this is sound like salvation by works –that you just need to dig deep into your own strength and keep on going – I again point you back to the background with Isaiah 35 here. In Isaiah 35 it talks about how the dreariness of this wilderness road will be filled with joy and singing. Why? Because God is coming to save them. Well, God has already come the first time in Christ to bring us salvation. And he will come again in Christ at the day of his return to complete that salvation. This is the encouragement offered in Isaiah 35 about why we should strengthen our weak hands and feeble knees – because God is coming to save us! We look to his help, his salvation. That’s what ultimately gives us the strength and girds us up for this journey – trusting in the Mighty God to get us through. Isaiah 35 goes on to say that if you stay on the path, you will be safe, and that even a fool will not get lost if they just stay on the path that God had provided. So, yes, this exhortation here in verse 12 is a sort of pep talk. It is saying, “Don’t give up! Keep on going!” But with the background of Isaiah 35 we see that our strength to keep on going is found in the LORD. Be strong in the Lord and in the strength of his might! So then let’s keep walking the walk and running the race in the confidence of the help and strength that the Lord will provide. Just stay on the path and keep looking to move forward and trust his Word that says you will make it! It’s amazing how faith works like this in grasping hold of God’s grace. Believe that God in Christ will give you the strength to make it, and he will, and you will make it. Don’t believe that God will give you the strength, and he won’t, and you won’t make it! Salvation is indeed not by works, but about grace received through faith! We find a second exhortation here in verse 13. We are called to make straight paths for our feet. The word for straight here is again from that Greek word orthos, meaning “straight”. We can think of this straightness in terms of getting to where you are going. The shortest path between two points is a straight line. You want to make sure you get where you are going in the easiest way possible, not veering off course. Similarly, we see that verse 13 explains this in terms of the earlier notion of being a Christian who is weak and injured. It basically is saying that you need a straight and level path so you don’t injure yourself more. Today, if you are injured and in a wheelchair, you’ll need to take the handicamp ramp. Likewise, if you are in crutches with a broken leg, you aren’t going to go hike up a hill and boulder over rocks. Well, we can even further appreciate this command when we see that it also is another Old Testament quote. It comes from Proverbs 4:26, especially the LXX which says, “Make straight paths for thy feet, and order thy ways aright” (LXE). I love how Hebrews brings these two passages together. It helps us to think about the pilgrimage to Zion from Isaiah 35 in terms of the wisdom described in Proverbs 4. And when you look at Proverbs 4 you see that it talks about two different paths. It mentions both the path of the righteous versus the path of the wicked. That chapter says that the path of the righteous is light and the path of the wicked is darkness. Proverbs 4 goes on to say that we need to remove our foot from evil, not turning to the right or to the left. And so, we are reminded in this pep talk that just getting up and moving forward is not enough. We need the wisdom to keep moving forward on God’s path; in the right direction. Broad is the way that leads to destruction, but there is a way that leads to life. The LORD knows and blesses and makes fruitful the way of the righteous, but the way of the ungodly shall perish, like chaff which the wind drives away. And so, this quote tells us that as we straighten up and keep on moving forward toward the goal of glory, that we need the wisdom of righteousness. In other words, Hebrews brings a call for morality, for looking to live in obedience to God’s law as we live out our Christian faith. It’s like what we saw back in verse 1 a few weeks ago. As we run the race of faith, we need to cast off that sin which will otherwise entangle us. That’s wisdom, says Proverbs. That’s wisdom we need as Christians, says Hebrews. And realize it’s saying that for us Christians who are already weak and injured, we don’t need to compound that by any further living in sin. That reminds us that sin can bring bad consequences in our lives that can hinder our Christian walk. It might also bring some of that painful chastening from the Lord mentioned in verse 11. And as Hebrews keeps warning, sin carries with it the temptation toward apostasy. Surely this reference to dislocation in verse 13 hints at that threat of apostasy that Hebrews has been bringing to our attention. And so, Hebrews points us to the wisdom of righteousness as we walk down the path of faith and the way of Christ. Let us be so wise that we heed this call to the straight path of righteousness! Our verses end then today with the gospel encouragement of healing. Verse 13 ends with the hope of healing. Certainly, as we walk the straight path of righteousness, we might find some healing already in this life. We can heal from the pains that our former way of living brought upon us. We can grow in the peace that transcends all understanding amidst the anxieties of this life. We can even find the spiritual growth that is able to know comfort and hope amidst persecution. There are certainly ways that in this life the Christian can begin to know the strength and healing that God promises his people. For our God has promised that “those who wait on the LORD Shall renew their strength; they shall mount up with wings like eagles, they shall run and not be weary, they shall walk and not faint” (Isaiah 40:31). And yet that waiting reference reminds us that the ultimate healing lies at the end of this road. Remember, we said the road ends in Zion. Surely then the reference to healing here in verse 13 is ultimately eschatological. Remember that imagery in Revelation 22:2 that describes how in glory the leaves of the tree of life will be for our healing. We should recognize this as part of the gospel. This is part of the amazing grace of God. Yes, we are in many ways weak and broken people. Our own sin has brought much of that on us in the first place. But in general, this world and this life is full of many pains and sorrows and troubles. But by the grace of God, we will find healing in the end. But this healing will not be for everyone. It is for those who set their hearts on it in faith now. It’s for us who acknowledge our sins and repent of them and turn to Christ and find forgiveness and grace. It’s for us who walk this way of faith in Christ until the end. As we put our faith in Christ for the forgiveness of sins, we begin to experience healing here and now. As we finish the way of faith in Christ, we will come to the final healing on the day of Christ. Let us then be renewed in our resolve again today to follow Christ. Today’s passage recognizes the difficulties of the Christian life. We can feel beat up, discouraged, and weak. Persecution can be tough. Sometimes the Christian life might seem too hard; that we are too weak for the challenges. We might be tempted toward despair. But as we are called today to get up and keep going, we are reminded again of the God who keeps us going. Let us indeed redouble our efforts for Christ knowing that in the end it will all be worth it. Let us press on dear brothers and sisters! Let us keep running the race. Let us keep fighting the good fight! Receive this divinely inspired pep talk from Hebrews today! Let us not fall away to eternal injury but press on to the everlasting healing that we have in Jesus Christ! Amen. Copyright © 2019 Rev. W. Reid Hankins, M.Div.